PICO RIVERA >> Bullets ripped through a Chuck E. Cheese’s restaurant after an argument escalated into gunfire in front of the children’s pizza parlor late Sunday, officials said. Though there were “quite a few” people at the restaurant, 6005 Rosemead Boulevard, when the 8 p.m. shooting occurred, no one inside was struck, Los Angeles County sheriff’s Lt. Andrew Meyer said. “At least 13 rounds were fired,” the lieutenant said. Front windows of the restaurant were shattered by the gunfire. It was unclear if either of the two was struck, he said. 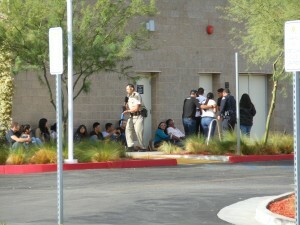 No shooting victims were found in the area, or at local emergency rooms. A detailed description of the two men seen arguing prior to the shooting was not available. Anyone with information can contact the sheriff’s Pico Rivera Station at 562-949-2421. Tips may also be submitted anonymously via L.A. Regional Crime Stoppers at 800-222-8477. COVINA >> An Azusa man was allegedly drunk when he struck two pedestrians, then another car, in two separate hit-and-run crashes late Saturday. Police booked Maximo Miguel Sarco, 37, on suspicion of felony drunken driving, felony hit-and-run and misdemeanor hit-and-run after he was ultimately arrested about following the series of crashes, which began about 9:45 p.m., Covina police Sgt. Gregg Peterson said. A 17-year-old West Covina girl and 19-year-old Covina woman were crossing Citrus Street at Puente Street, within a crosswalk, when they were struck by a Ford Mustang that had run a red light on southbound Citrus Street, the sergeant said. The young women were hospitalized with injuries not believed to be life-threatening, Peterson said. Their exact conditions were unclear. But the driver of the Mustang, later identified as Sarco, continued driving after striking the pedestrians, he said. Minutes later, Sarco rear-ended a car being driven by a Hacienda Heights man at Citrus Street and Garvey Avenue South in West Covina, Peterson said. Again, Sarco fled the scene, but the driver of the car he crashed into followed him and called the police. The Hacienda Heights man followed the Mustang to the 500 block of South Montezuma Way in West Covina, where he parked in a driveway and went inside a house. Police found Sarco inside the home, which was determined to be that of his in-laws, Peterson said. Officers arrested him without a struggle, and he was treated for minor injuries suffered in the second crash prior to booking. Sarco was being held in lieu of $50,000 bail pending his initial court appearance, scheduled Tuesday in West Covina Superior Court, according to Los Angeles County booking records. PASADENA >> Police arrested a Rosemead man early Sunday after catching him with a van full of items allegedly stolen from Southern California home improvement stores, officials said. Pablo Armando Valencia, 37, was booked on suspicion of burglary and drug possession following his arrest shortly after midnight in the parking lot of a motel in the 2000 block of E. Colorado Boulevard, Pasadena police Lt. John Luna said. Officers were patrolling when they noticed Valencia standing next to a “suspicious vehicle”,” he said. A second person was standing near Valencia, but that person was not arrested. “Upon contact, officers noticed several new objects in the rear of the van the suspects were next to,” Luna said. Police determined the items had been stolen from several large Southern California home improvement stores, the lieutenant said. Officials then found further evidence of burglary, as well as some suspected methamphetamine,inside Valencia motel room, Luna said. According to county booking records, Valencia was being held in lieu of $30,000 bail pending his initial court appearance. PASADENA >> A gunman carjacked a group of three people at gunpoint outside a Pasadena hotel early Sunday, police said. The crime took place about 4:25 a.m. as three people were getting out of the blue, 2005 Toyota Prius in the 2800 block of East Colorado Boulevard, Pasadena police Lt. John Luna said. The owner of the car, a 29-year-old Santa Ynez man, was accompanied by \a 27-year-old Monterey Park woman and a 23-year-old man visiting from the Czech Republic, he said. Police described the carjacker as a Latino man in his early-20s, with a shaved head, wearing a T-shirt, shorts and tennis shoes, Luna said. He was last seen driving the stolen car east on Colorado Boulevard. WEST COVINA >> Dozens of San Gabriel Valley first responders took part in a large-scale active shooter training scenario simulating a terrorist attack on a West Covina shopping mall Sunday. Six local law enforcement agencies, federal officials and firefighters took part in the mock terror attack at the Plaza West Covina shopping mall, which was held early in the morning, before mall business opened for the day. 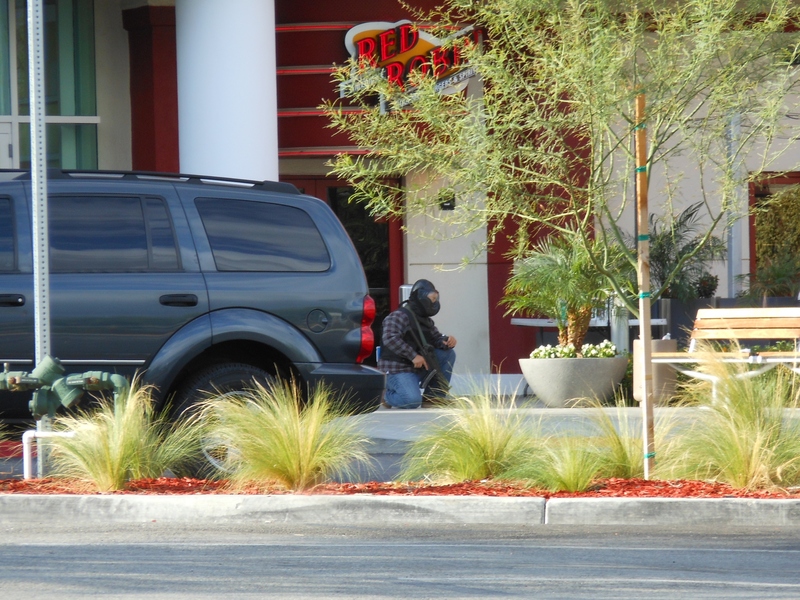 A blast from a flash-bang grenade intended to simulate a bomb detonation signalled the beginning of the intensive drill at the mall, where three West Covina police officers played the role of heavily armed gunmen bent on creating carnage. Within minutes, the sounds of simulated gunshots echoed through the mall as police engaged the mock terrorists in a gunfight. Two of the pseudo suspects carried assault rifles, while the third carried a shotgun. Participating first responders were not told ahead of time what they would be facing in the drill, West Covina police Cpl. Rudy Lopez explained. “Each officer involved in this has to determine how to best handle the situation,” he said. Police simultaneously hunted for the gunmen and rescued mock victims who wore makeup to simulate injuries. Some officers carried their standard duty sidearms, while others were armed with rifles. 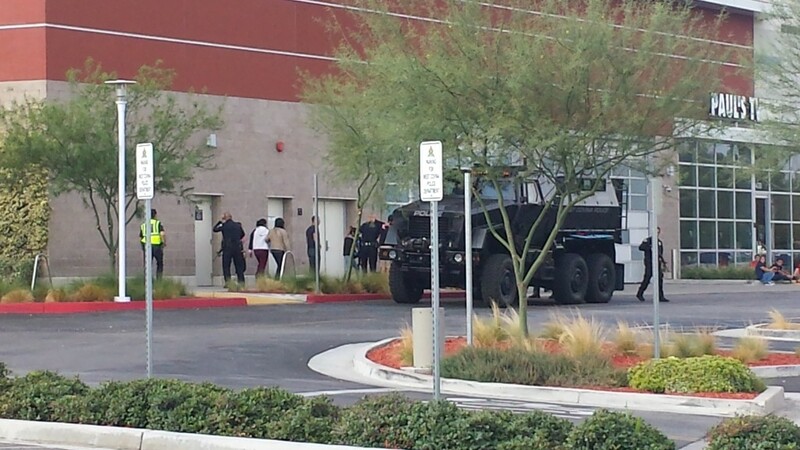 Patrol officers called in a SWAT team after the attack turned into a hostage situation. Practicing a technique known as “fast-roping,” West Covina police SWAT members slid down a rope from a hovering Los Angeles County Sheriff’s Department helicopter to join in the operation. The West Covina Police Department’s recently acquired rescue vehicle, a Mine-Resistant Ambush Protected vehicle acquired from the U.S. Department of Defense, was used to evacuate victims. After a scenario that lasted about an hour, the three suspects had been killed in shoot-outs with officers. Three civilians had also been killed during the scenario, and many more wounded. Police officers from West Covina, Covina, Baldwin Park and Irwindale police departments were joined by California Highway Patrol officers, Los Angeles County sheriff’s officials, FBI agents, West Covina firefighters and mall security officials in responding to the mock attack, Lopez said. 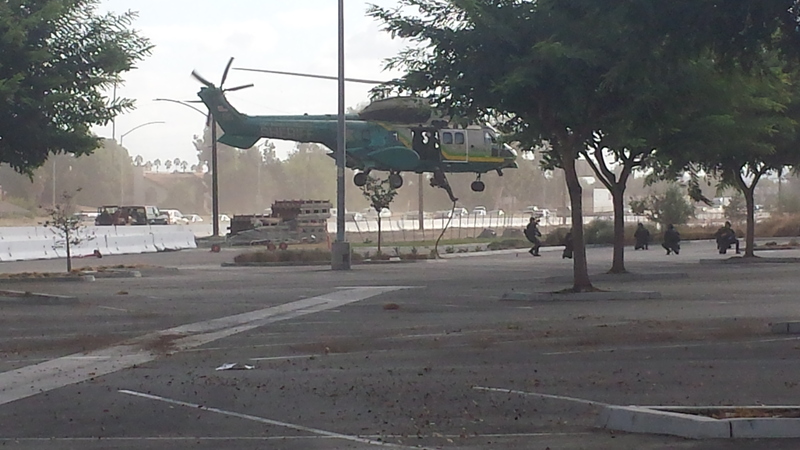 While West Covina has hosted similar training scenarios in the past, Sunday’s training session was their biggest. About 75 law enforcement officers participated, along with about 60 volunteers playing the part of victims or bystanders, officials said. The volunteers were primarily police Explorers from the West Covina, Glendora and Ontario police departments. After watching the exercise unfold at the mall, West Covina City Councilman Fred Sykes said he approved. “A place this large, it’s unfathomable for us not to look at what to do in this type of situation,” he said. The costs and planning associated with massive drill is a wise investment, as it may help save lives down the road, Sykes said. “This is extremely important for our community,” the councilman said. PICO RIVERA >> Deputies arrested one person on suspicion of drunken driving during a checkpoint late Friday, authorities said. The checkpoint was held from 7 p.m. Friday to 3 a.m. Saturday on eastbound Whittier Boulevard, just west of Paramount Boulevard, Los Angeles County sheriff’s officials said in a written statement. In addition to the one DUI arrest, deputies cited eight unlicensed drivers and four people driving on suspended or revoked licenses, officials said. Four cars were impounded for 30 days, while three cars were impounded for one day and eight more were released to licensed drivers at the checkpoint. COVINA >> A missing, possibly suicidal Covina man being sought by police and worried family members was found safe Saturday afternoon, officials said. The 50-year-old man disappeared about 6 p.m. Friday after he was seen walking in the 700 block of North Fenimore Avenue, Covina police Sgt. Rob Bobkiewicz said. Friends and family members contacted police after the man failed to show up for a meeting Saturday morning, the sergeant said. The man’s car was found parked in his driveway, Bobkiewicz said. And inside his home, a family member found what appeared to a suicide note spelling out his last wishes. The man returned home Saturday afternoon, unharmed, as detectives were there conducting an investigation. 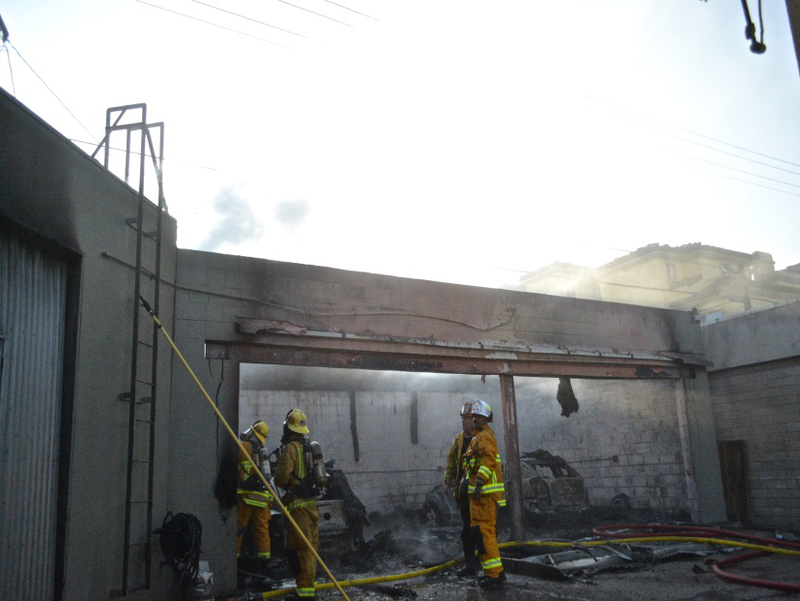 PASADENA >> A fire at a Pasadena auto body shop damaged a garage and destroyed two cars parked inside, causing about $375,000 worth of damage early Saturday, officials said. 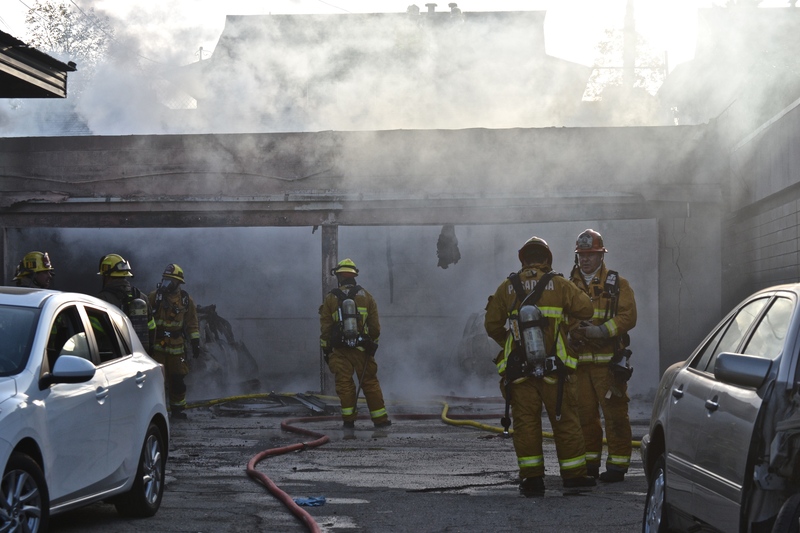 The fire broke out just after 7:20 a.m. at Alliance Auto Body. 826 S. Arroyo Parkway, Pasadena Fire Department spokeswoman Lisa Derderian said. Firefighters were greeted by heavy smoke and large flames when they arrived and started pouring water onto the burning garage, Derderian said. The burning building was a garage behind the main auto body shop used for auto detailing and prep work, officials added. Officials declared the fire extinguished about half an hour later, Derderian said. The business was closed at the time of the fire, and no injuries were reported. Fire officials estimated the fire caused $300,000 worth of damage to the building, and $75,000 in damage to the two cars and other items inside. Derderian said the destroyed cars were a Volkswagen and a Dodge. POMONA >> A man was critically wounded in a shooting at his Pomona home Friday afternoon, officials said. 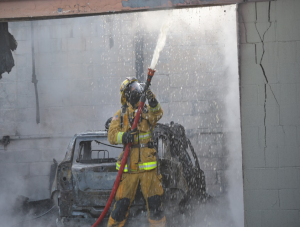 The shooting took place about 4:45 p.m. in the 200 block of West Willow Street, just east of Garey Avenue, Los Angeles County Fire Department Dispatch Supervisor Art Marrujo said. The victim, who had been shot several times, immediately underwent surgery, Pomona police officials said. The man, who was described as being in his 30s, remained hospitalized in critical condition Saturday. 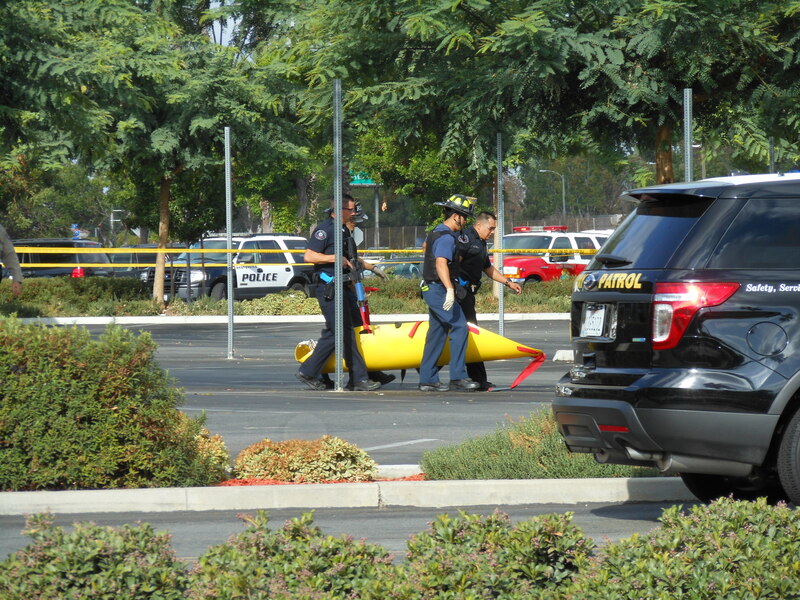 “The motive for the shooting is unknown at this time, but it appears that the victim was possibly specifically targeted and at this point detectives do not believe that it was a random act,” Pomona police Sgt. Lena Becker said in a written statement. The shooting was not believed to be gang-related, Lt. Chuck Becker said. It was unclear if anything had been stolen from the victim or his home. 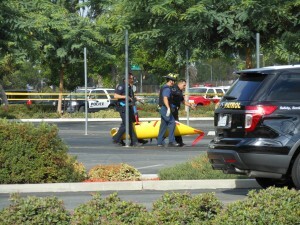 Anyone with information was asked to contact the Pomona Police Department Detective Bureau at 909-620-2085. Tips may also be submitted anonymously by contact L.A. Regional Crime Stoppers at 800-222-8477. 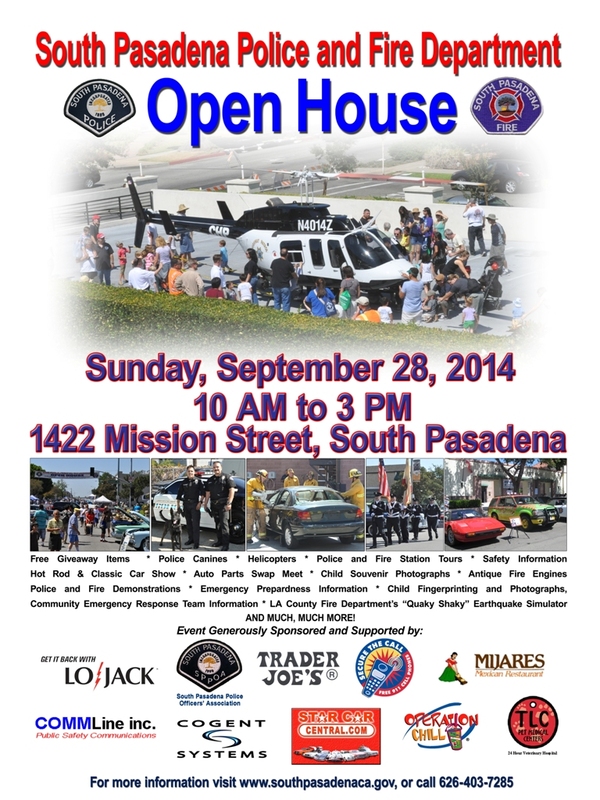 SOUTH PASADENA >> The South Pasadena police and fire departments are hosting an open house Sunday, alongside the South Pasadena Tournament of Roses car show , organizers said. 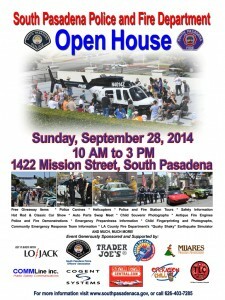 The open houses will take place from 10 a.m. to 3 p.m. at the South Pasadena Police Department, 1422 Mission Street, and the nearby South Pasadena Fire Department, 817 Mound Ave., city officials said in a written statement. In addition to demonstrations and station tours, fire and police equipment will be on display and children’s fingerprinting will be offered. “There will be a special area dedicated to emergency preparedness as the rear of the fire station,” according to the statement. Representatives from agencies ranging from the city level to the federal level will be on-hand providing information, along with officials from the Caltech Office of Seismology, who will be discussing earthquakes. The open houses will coincide with the South Pasadena Tournament of Roses Car Show, which will feature more than 300 classic cars. For more information, contact the South Pasadena Police Department at 626-403-7270.